Democrats' measure offers two years of debt-free college. As the price of college tuition increases, students face financial struggles that may stop them from attending a university or collecting a significant debt – prompting Democrats to craft a debt-free college legislative proposal. Republicans recently introduced the PROSPER Act. House Democrats have countered the GOP’s legislation with an alternative version of the act. (Win McNamee/Getty Images) House Democratic Leader Nancy Pelosi speaks at a press conference at the U.S. Capitol July 24, 2018 in Washington. Members of the House Democratic caucus introduced a comprehensive debt-free college plan during the press conference. In 2017, U.S. scholars owed more than $1.3 trillion in student loans, the Pew Research Center reports. Democrats on the House Education and Workforce Committee says the new proposal will lower these costs and provide future students with a debt-free college education. Already, more than 20 states have programs in place with similar goals. The Congressional Budget Office claims the PROSPER Act may cut nearly $15 billion from student aid if enacted. 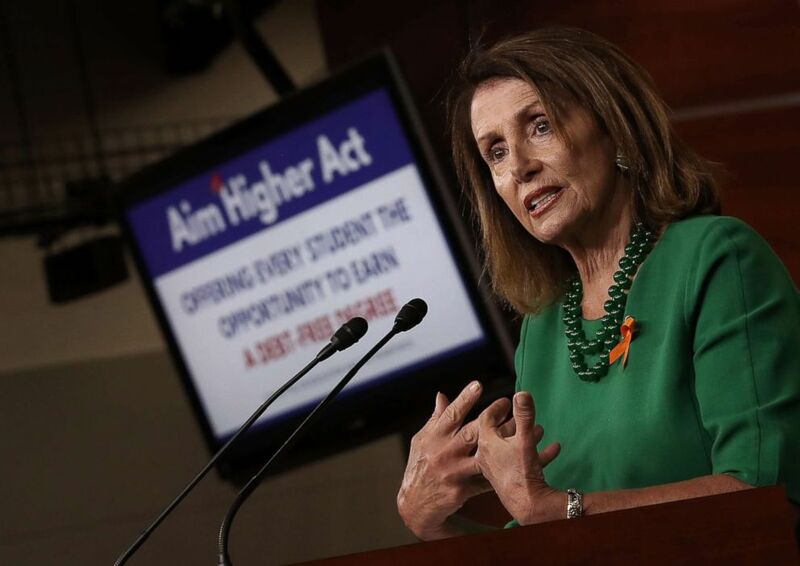 Democrats fear the GOP’s legislation will move federal dollars toward low-quality, for-profit programs and put corporate interests above the needs of students.